The question has been popped and now it’s time to get planning! Planning the best day of your life is a daunting prospect, but here are some hints for choosing your wedding catering like a boss. We may be biased, but don’t underestimate the role of your wedding catering team. Aside from being a hefty portion of your budget, they’re one of the few suppliers that are there for the duration of your wedding day. So, it’s crucial that you like and trust them! If your favourite venue has a list of preferred caterers, we recommend contacting all of them for quotes, before confirming the venue. This will give you a realistic idea of costs and a good feel for who you like, who’s efficient, who’s helpful, who’s flexible and importantly, who’s available. 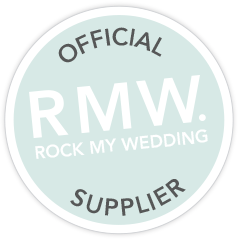 If your venue allows you to select any supplier, then research local wedding catering options before confirming a date. There’s nothing more disappointing than falling in love with a supplier, only to find out that they are unavailable. Once you’ve booked your venue, it’s a good idea to arrange a face-to-face meeting with your preferred caterer. This gives you the perfect opportunity to discuss menu choices, venue facilities and your budget in more detail. Budget hint: Be open and honest about your budget. It’s easier for both parties to work towards a target figure. Decide on your catering requirements, i.e. canapés, three course wedding breakfast, evening food, cocktails etc. Your chosen caterer can then advise on which elements they can provide within your budget. You might wish to attend a tasting before confirming your catering, or you may prefer to secure your caterer’s availability before thinking about your menu in finer detail. This decision is dependant on your priorities, but rest assured, there is no right or wrong order in which to do it. A tasting is about more than choosing a delicious dish. You should use your tasting as an opportunity to see how beautifully your caterer presents a dish and what style of service would best suit your chosen menu. See our post ‘Back to basics: Wedding food options’ for advice on which type of service you’ll love. Budget hint: Tastings take chefs time and skill to source and prepare. Don’t be surprised if a private tasting comes at a cost. Factor this in when deciding your wedding catering budget. When you feel confident about your chosen caterer, you’ll need to confirm the booking by paying a deposit. This may range from around £500 – £1500 depending on your requirements. This is usually the point where you will sight their Terms and Conditions for the first time. Read this document carefully, and ask if there’s anything that you’re not sure about. Once the date is secured, the pressure is off! Most caterers won’t require your final numbers, menu choices, timings, further payment etc. until much closer to your wedding. The fun part comes next… menu designing! Different caterers will have different ways of approaching menu development. Which style works for you is something you’re likely to have considered during your initial research. For example, some caterers will have an extensive list of tried and tested dishes for you to select from while others will be led solely by your wedding food desires. Here at Pickle Shack, we favour a bespoke yet collaborative process. Make some notes about the food you love, our chefs will turn your musings into mouth-watering menu ideas. From these, we will work with you to create the perfect menu, advising at every step regarding flavour combinations, seasonality and local produce. Our blog has lots of helpful posts, specifically to guide you through your wedding catering options. If you have a menu related query, chances are you’ll find advice here! To kick start your inspiration, give our ‘Let’s get personal: How to approach bespoke’ post a read. Between booking and the Big Day, your caterer should be on hand to answer any questions you may have. As – and you will find this with the majority of your wedding suppliers – weekends will be the busiest time for your caterers, you can expect a short delay in response to an email sent on a Friday evening. Never hesitate to phone a supplier if your query is urgent. Your caterer will want to have a detailed catch up with you around 2 – 4 weeks before your wedding day. We like to have a final meeting with you one month ahead of your wedding. This is when we need to know your final numbers, final catering requirements and final timings. Your event coordinator will also ask for a table plan, illustrating where any guests with dietary requirements or food allergies are sat and a pre-order list if applicable. After that, an invoice for the remaining balance will be raised. Even after the final invoice has been settled, it’s important that you keep your caterer up to date with any changes in guest numbers, timings or table plan changes. Then, it’s good luck from us, we’ll see you after the ‘I do’s’! © 2014 - 2019 Pickle Shack All rights reserved.